sweet lace, texture, and ruffles. More of the pretty usuals for ERDEM resort 2015. Pale yellow, blues and lots of black and white textures for a dressy occasion. 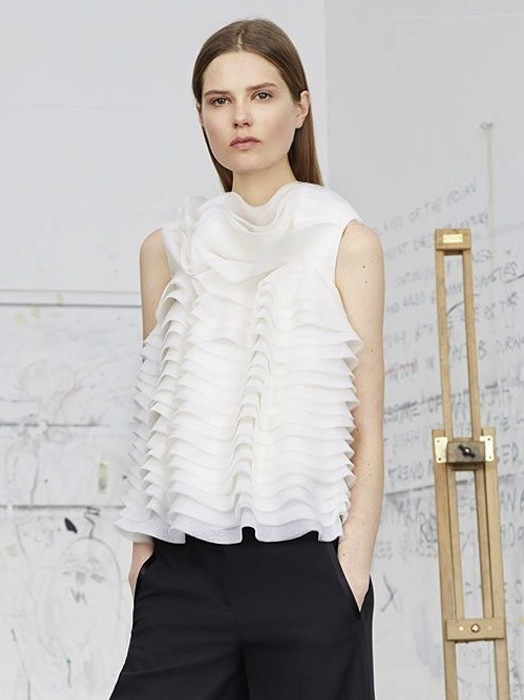 The new voluminous sculpted sleeves got our attention. Here are a few of our favorites from ERDEM resort 2015 selects by Brigitte Segura. follow us on your favorite socials for more updates! + tumblr blog LINKS by subject.